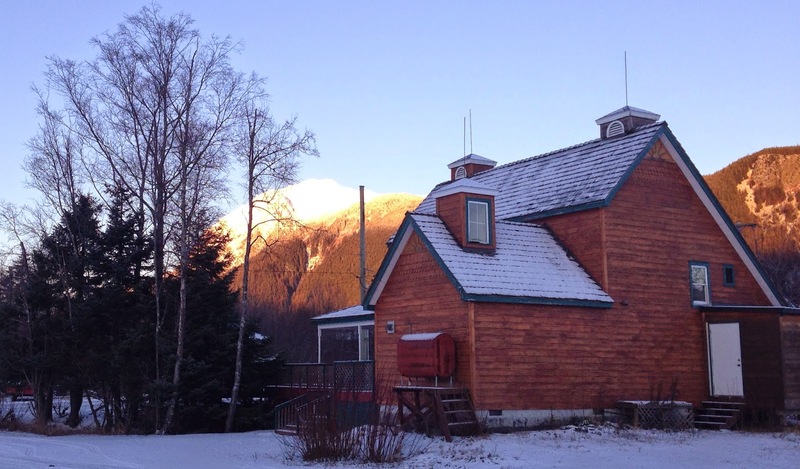 Haines had a rare day of sunshine yesterday… that is rare for 2014! Here’s hoping 2015 provides more sunny days. And I hope wherever you might be on the first day of 2015 – bring it in with a smile and cheer to all good things. Must say I had a chuckle over the latest weather reports in the Southwest… my dear RV friends are quite frosty down there. You should have come to Haines with me. Its downright balmy up here compared to you. Stoke up those heaters, line the windows with Reflectix and wrap yourself in a down comforter… try to stay warm. I, for one, am excited to see how 2015 develops. The last few years out on the road have been amazing and I see no reason why it won’t be even better in 2015. This downsizing event is still progressing… a bit slower then it was in October & November, but it is by no means at a stalemate. Yesterday, I got updated on vaccines. I knew I needed to get a Tetanus – it had been years since I had the last one. It now comes with Pertussis, Diphtheria and something else. Apparently, adults are infecting the young kids with whooping cough. Sad but true. So its a one time injection and its matched with the Tetanus. And while I was able, got the Zoster one too. That’s for Shingles. I do NOT want shingles. Seen too many friends go thru hell with shingles. There’s no guarantee that I still won’t get shingles someday, but apparently with the shot the symptoms won’t be near as severe. Well, I don’t want it at all… so a step toward the positive on that front. Anyone want and or need quilting fabric? I found several packets of fabric and no one locally seems interested. I have not done quilting since the early 1980’s… and no plans to return to it. If interested, let me know.